Philebus, is one of the surviving Socratic dialogues written in the 4th century BC by the ancient Greek philosopher Plato. Apart from Socrates, the other speakers are Philebus and Protarchus. But Philebus, who wants to defend the life of pleasure, hedonism, which Socrates describes as the life of an oyster, hardly participates, and his position has to be defended by Protarchus, who has learnt argumentation from Sophists. 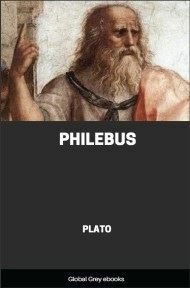 The Philebus appears to be one of the later writings of Plato, in which the style has begun to alter, and the dramatic and poetical element has become subordinate to the speculative and philosophical. In the development of abstract thought great advances have been made on the Protagoras or the Phaedrus, and even on the Republic. But there is a corresponding diminution of artistic skill, a want of character in the persons, a laboured march in the dialogue, and a degree of confusion and incompleteness in the general design. 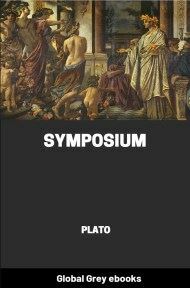 As in the speeches of Thucydides, the multiplication of ideas seems to interfere with the power of expression. Instead of the equally diffused grace and ease of the earlier dialogues there occur two or three highly-wrought passages; instead of the ever-flowing play of humour, now appearing, now concealed, but always present, are inserted a good many bad jests, as we may venture to term them. We may observe an attempt at artificial ornament, and far-fetched modes of expression; also clamorous demands on the part of his companions, that Socrates shall answer his own questions, as well as other defects of style, which remind us of the Laws. The connection is often abrupt and inharmonious, and far from clear. Many points require further explanation; e.g. the reference of pleasure to the indefinite class, compared with the assertion which almost immediately follows, that pleasure and pain naturally have their seat in the third or mixed class: these two statements are unreconciled. In like manner, the table of goods does not distinguish between the two heads of measure and symmetry; and though a hint is given that the divine mind has the first place, nothing is said of this in the final summing up. The relation of the goods to the sciences does not appear; though dialectic may be thought to correspond to the highest good, the sciences and arts and true opinions are enumerated in the fourth class. We seem to have an intimation of a further discussion, in which some topics lightly passed over were to receive a fuller consideration. The various uses of the word 'mixed,' for the mixed life, the mixed class of elements, the mixture of pleasures, or of pleasure and pain, are a further source of perplexity. Our ignorance of the opinions which Plato is attacking is also an element of obscurity. Many things in a controversy might seem relevant, if we knew to what they were intended to refer. But no conjecture will enable us to supply what Plato has not told us; or to explain, from our fragmentary knowledge of them, the relation in which his doctrine stood to the Eleatic Being or the Megarian good, or to the theories of Aristippus or Antisthenes respecting pleasure. Nor are we able to say how far Plato in the Philebus conceives the finite and infinite (which occur both in the fragments of Philolaus and in the Pythagorean table of opposites) in the same manner as contemporary Pythagoreans. There is little in the characters which is worthy of remark. 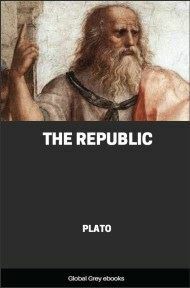 The Socrates of the Philebus is devoid of any touch of Socratic irony, though here, as in the Phaedrus, he twice attributes the flow of his ideas to a sudden inspiration. The interlocutor Protarchus, the son of Callias, who has been a hearer of Gorgias, is supposed to begin as a disciple of the partisans of pleasure, but is drawn over to the opposite side by the arguments of Socrates. The instincts of ingenuous youth are easily induced to take the better part. Philebus, who has withdrawn from the argument, is several times brought back again, that he may support pleasure, of which he remains to the end the uncompromising advocate. On the other hand, the youthful group of listeners by whom he is surrounded, 'Philebus' boys' as they are termed, whose presence is several times intimated, are described as all of them at last convinced by the arguments of Socrates. They bear a very faded resemblance to the interested audiences of the Charmides, Lysis, or Protagoras. Other signs of relation to external life in the dialogue, or references to contemporary things and persons, with the single exception of the allusions to the anonymous enemies of pleasure, and the teachers of the flux, there are none.